Is there an area of MetaFilter for publicly appreciating an especially generous poster? A Mefite, bbqturtle, has really gone above and beyond to help with a thorny issue and I'd love to let others know how wonderful he is. MetaTalk's pretty much the place, such as there is one. Way to be, bbqturtle! More generally though it's usually fine to just e.g. stick a grateful followup comment in an Ask MetaFilter question thread; folks interested in the issue and following quietly in the moment or searching after the fact will see that too. This community is the BEST. Yay for bbqturtle! Sent a MeMail so bbqturtle is aware of this thread. And you weren't afraid that you would get grilled by inviting him to this thread, terrapin? Nice callout. Yay bbqturtle and R2WeTwo! 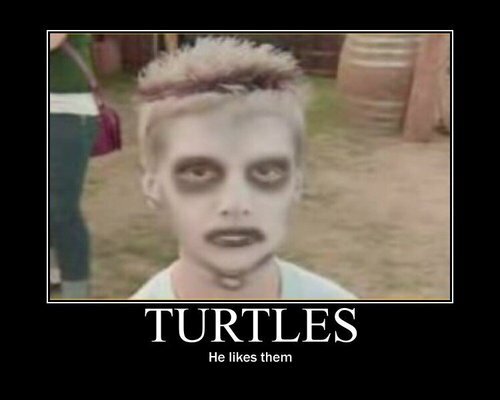 As a fellow turtle I thought I would stick my neck out for them. turtles. and terrapins. Also in the episode of Hetty Wainthrop I watched not 45 minutes ago. With her long lost cousin and the pet shop. Yay posting about nice people! To me that's uncomfortable. I would never want to be publicly called out for helping another person. Thanks for posting this, R2WeTwo - good news always welcome.